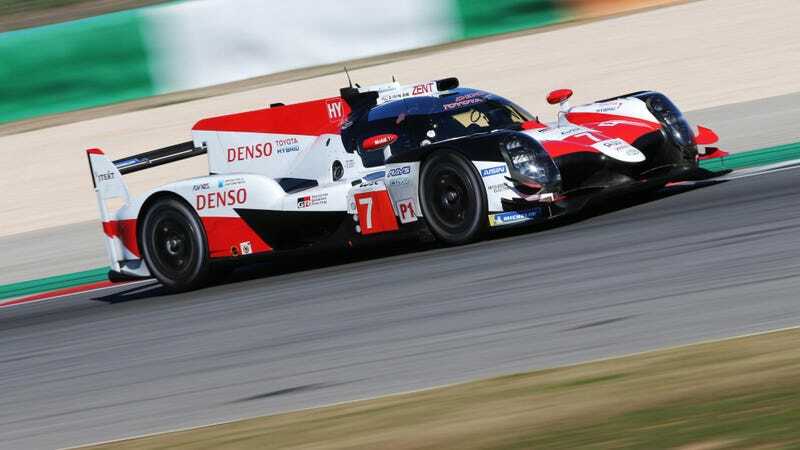 The real battle, and really the only thing that matters, is Toyota vs Le Mans. Every other team doesn’t matter, really; they’re their own card (Rebellion vs the world). Toyota’s only opponents are fate, La Sarthe, and their own miserable existence. If they win, they’re finally vindicated. If they lose even just one Le Mans this season, I don’t see them staying until 2020. After 2016 it was clear to me that Toyota’s racing against its own doom, not against another team. On paper it isn’t exciting, but with context the stakes are, honestly, much higher than when there were three or four factory teams going at it. Don’t listen to the rest: this is just all Toyota. Rebellion’s the second best privateer racing team in the world (Haas F1 is number one for me, with M-Sport WRC being number three), but they have their own buffet platter to consume, and that’s 7x smaller than Toyota’s own plate.